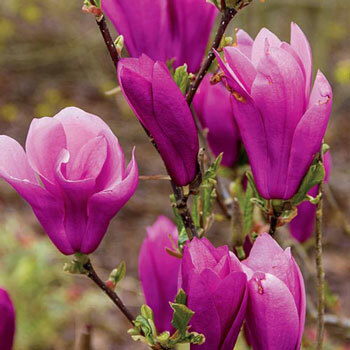 Absolutely gorgeous, tulip-like flowers of reddish-purple appear in mid spring, flowering after other varieties like Star Magnolia. Later blooms means less likely damage from a surprise frost and a healthier flowering. 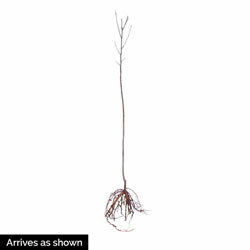 Planting Instructions: Select a location protected from high winds. Additional Information: Developed at the National Arboretum by Dr. Francis DeVos and William Kosar. Introduced in 1965.